Looking for a special gift for your MD? 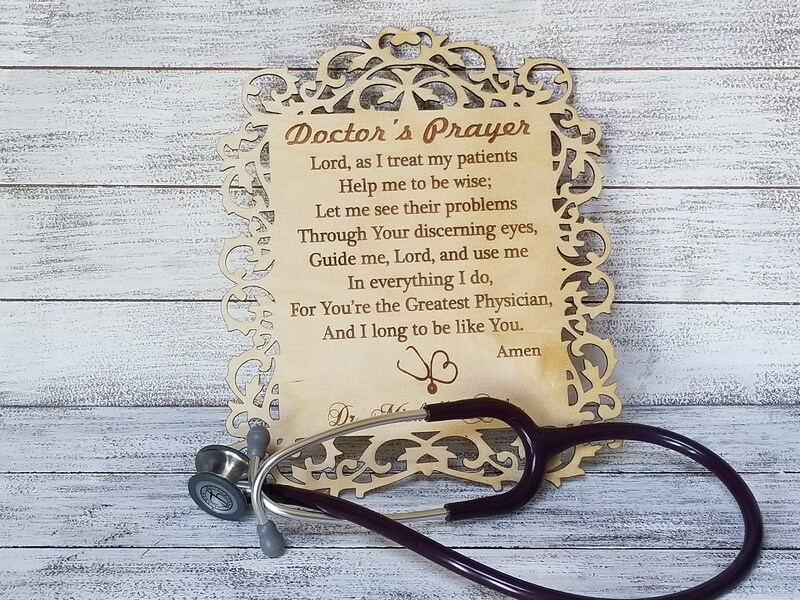 Our beautifully engraved Doctor's Prayer wood plaque is sure to bring a smile to his or her face. Gift him or her with this beautiful plaque to hang with pride in their office or at home. This plaque is personalize with his or her name underneath the stethoscope. Size: 11 inch long x 8.5 inch wide.